ORLANDO, FL (September 19, 2018) — Yesterday Watershed Innovation, Correct Craft’s technology company, hosted a meeting to kick off a project with the University of Central Florida (UCF) to develop a quiet aluminum fishing boat with electric propulsion. 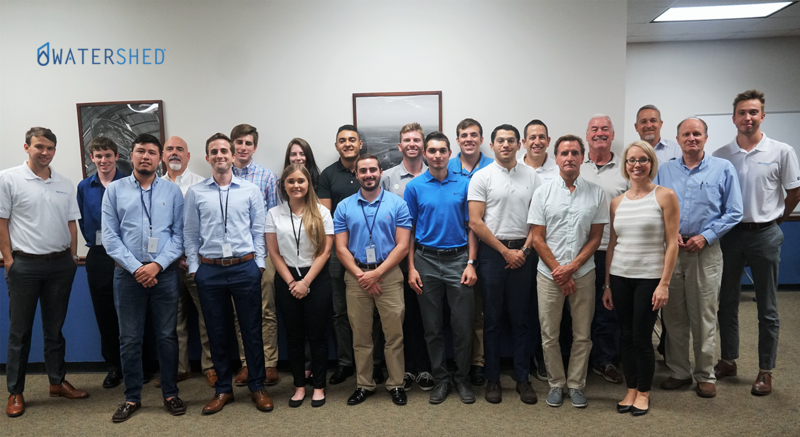 Representatives from UCF, SeaDek and Torqeedo met with engineers from SeaArk Boats at the Correct Craft facility to discuss construction methods and answer questions. Watershed Innovation President, Sean Marrero, presented Correct Craft’s history and then went on to describe its recent innovative initiative. After opening comments and introductions, the group went through very detailed questions on the overall design and application of the boat that is going to be developed. From UCF’s senior engineering program there will be fourteen students involved representing mechanical engineering, computer science, computer system engineering and electrical engineering. UCF Professor, Dr. Steiner, will help teach and facilitate the students during this project. About Watershed Innovation: Founded in 2018, Watershed Innovations is focused on identifying, researching, developing and integrating exponential technologies to benefit Correct Craft, its subsidiaries and the marine industry. These ideas will strategically align with our businesses, our culture and our focus of “Making Life Better.” For more information please visit www.watershedinnovations.com.